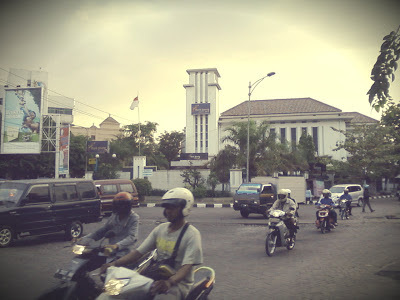 De Javasche Bank office in Jalan Pemuda, currently used by Bank Jateng. Established in 1828, De Javasche Bank is a respond to the chaostic financial condition of Dutch-Indie government caused by the Java War, Lead by Pangeran Diponegoro, a Javanese aristocrat and religious leader from 1820-1825. Millions gulden are spent for this war, to built the road, fortification, hiring both royal koninklijk army from the nederlands and the mercenaries from all parts of Indonesia. The Dutch-Indie government float a loan to fund this outside their income, that really unsignificance caused the war and all of the economic sector are concentrated in java island. That’s why De Javasche Bank established, is to maintained the loan. There’s a unique characteristic in De Javasche Bank, where the commissioner are appointed only by the Governoor General, but the CEO are appointed by the shareholders. The Javasche Bank become Naamlooze Venootschap (NV) or in English we rcognized it as limited liability company (Ltd) on 1881 through the commercial Code issued in Buitenzorg (Bogor). After the independence of Indonesia, De Javasche bank still have a role as the central bank, since the newly born Indonesian Republic, haven’t the central bank yet. Through the Round Table Confrence, in The Hague, which is resulted the transfer of sovereignity from the Kingdom of Netherland into Indonesian Republic, there’s a point in the agreement to stated that the central bank is still hadled by De Javasche Bank until the government of Indonesian Republic have its own central bank. But in 1953, De Javasche Bank nationalized and still have a role as central bank, as we recognized nowadays as Bank Indonesia (BI). De Javasche Bank, is the powerful bank and it can be seen from their asset. Just look in every major city in Indonesia, their office is must be luxurious, from Jogjakarta, Jakarta, Surabaya, even in Solo. 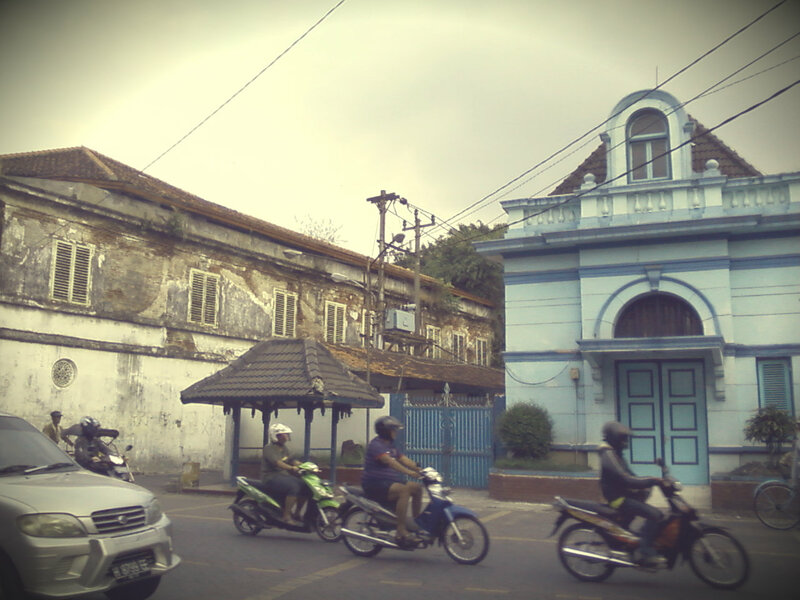 But I just get confused why in Semarang, its not as luxurious as the others city? 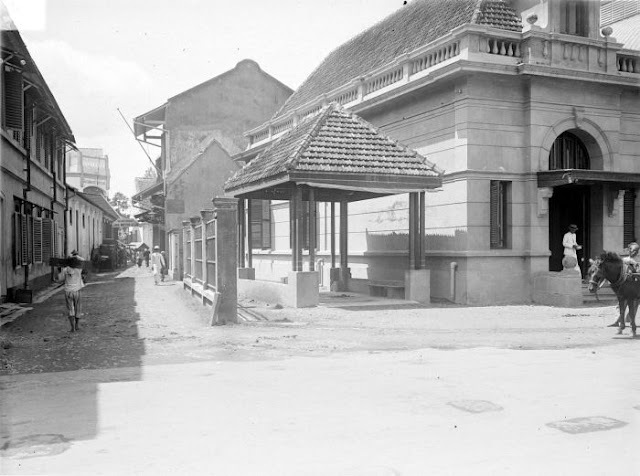 Well as we get the info from the colonial map dated 1920, De Javasche Bank office in Semarang located in Heerensrtrat, near Gereja Blenduk. But then when I saw the tropenmuseum collection, the office is located in front of Kantor Pos Besar on Bodjongsche Weg (central post office), but the photos is dated 1936. Its probable moved, from the old location in Hereenstrat to Bodjongsche weg. But now the Bank Indonesia office, is located in Imam Bardjo Street, near the central business district of Simpang Lima, so the office of central bank in Semarang is already moved three times if so. De Javasche Bank office on Heerenstrat now Jalan Letjend Soeprapto (above) and the current condition of this building, now used as the office of Telkom Indonesia, a state owned telecommunication company (below).